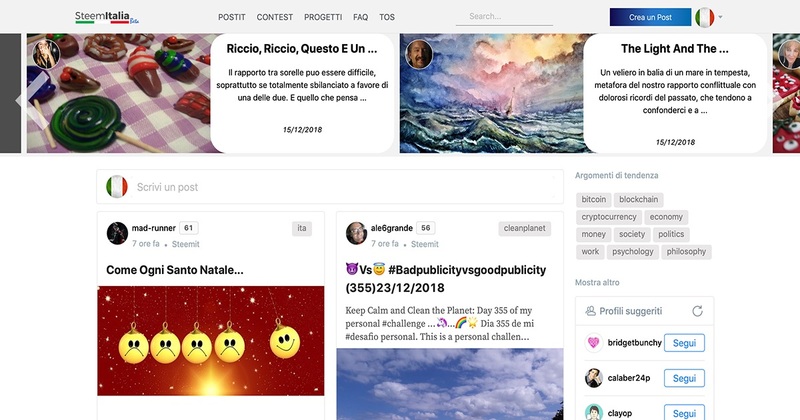 The first blogging platform "Made in Italy" entirely based on the Steem Blockchain. Steemitalia aims to bring as many Italian users as possible to the Steem Universe. The site has been tailored to meet the needs of the developing Italian community on Steem with a user-friendly interface that improves and simplify the use of the Steem Blockchain.